Week 11...and it still isn't finished! Last week my frustration level was high. It is about ready to break through now. You can't expect to finish a kitchen if you only work about 8 hours during the week. I digress. 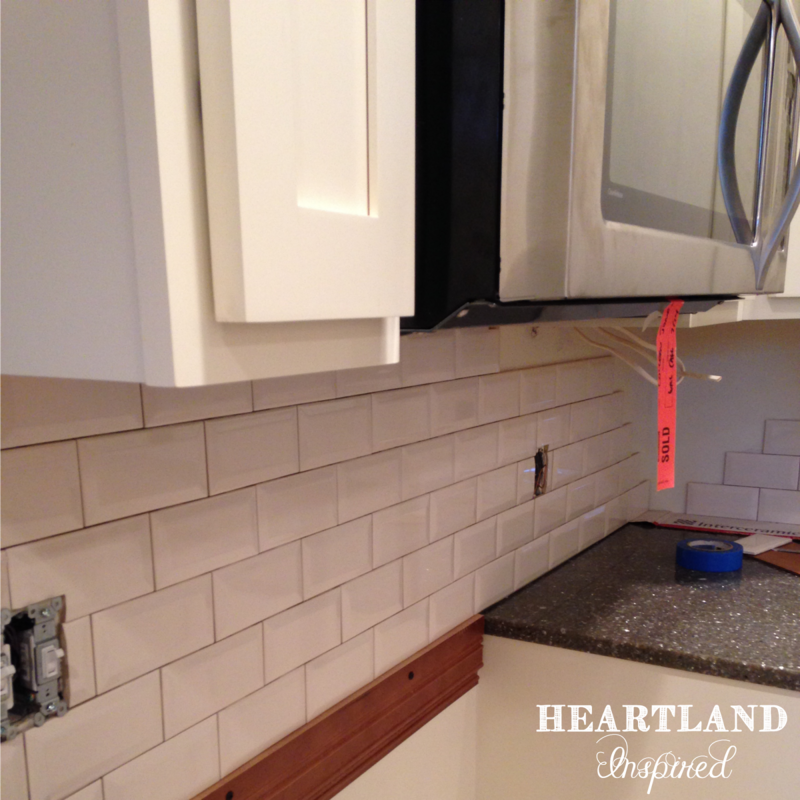 The backsplash has been started, but not finished. I didn't want anything too fancy because I didn't want anything trendy and run the risk of not liking it in a few years. 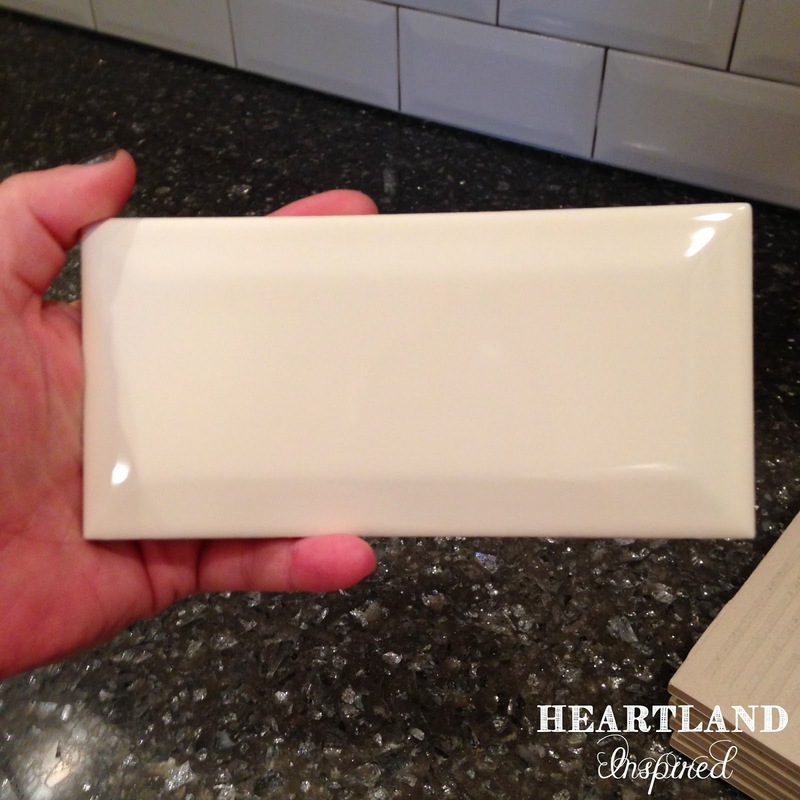 Subway tile fits that bill, but this tile has a little something extra to it. 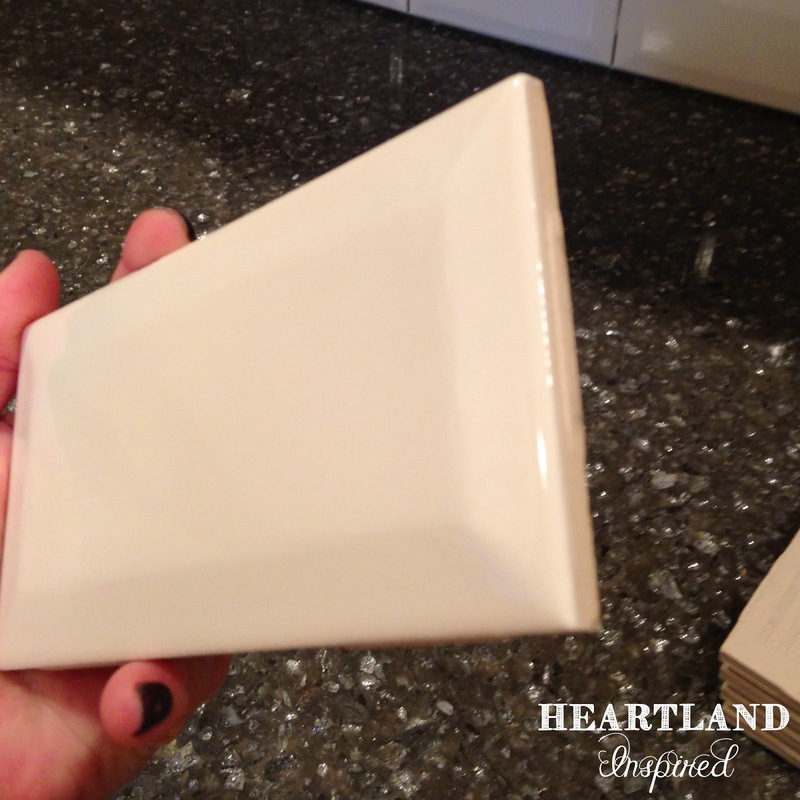 The tile has a bevel to it. 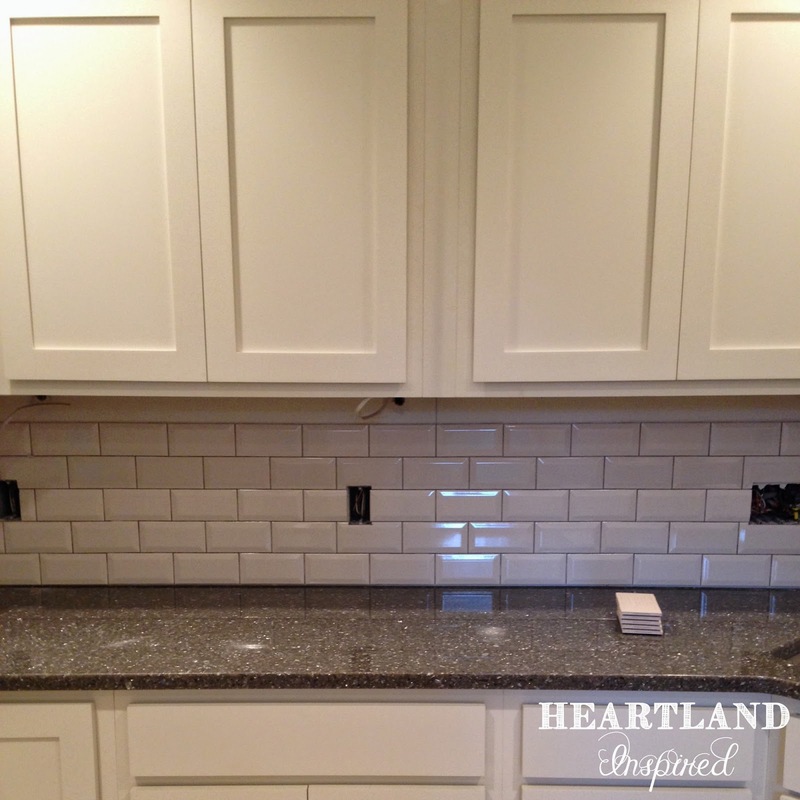 Since the countertop has a little bit of sparkle, the bevel helps to dress up the tile a little bit more. 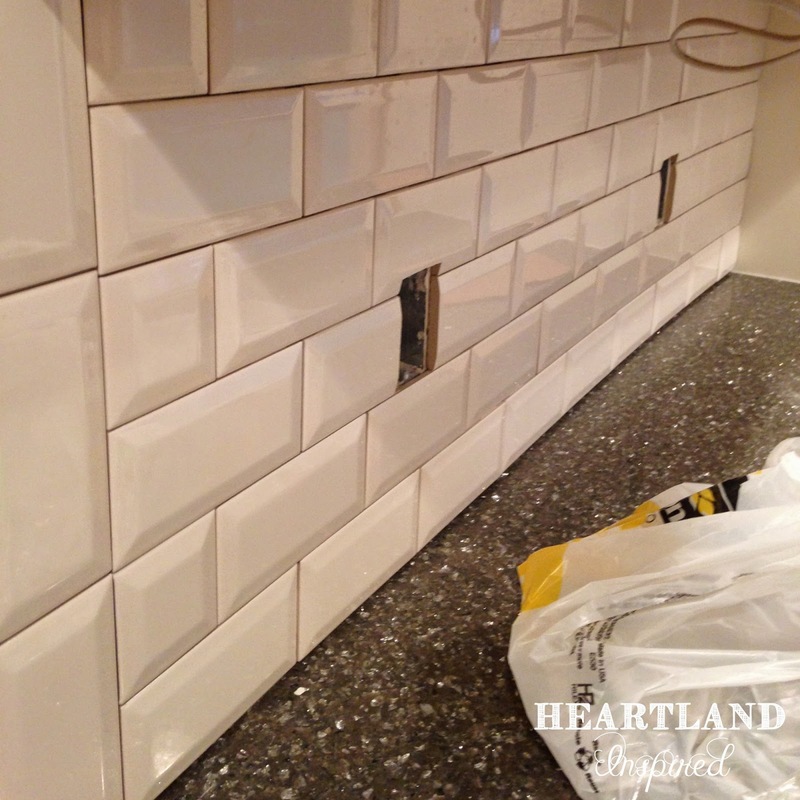 It does look really nice even without being grouted. My microwave was installed, but since there isn't any electrical I can't use it yet. Once it is finished, I know I will be super happy. I am trying to grin and bear it until then.